Many Clouds to be remembered at Cheltenham Racecourse with live screening of Many Clouds, The People’s Horse, an award-winning film by Equine Productions. Many Clouds, the 2015 Grand National winner who touched the hearts of so many, will be remembered at Cheltenham Racecourse this Saturday, 27 January as part of Festival Trials Day. The event marks the anniversary of his passing, after bravely defeating Thistlecrack in the Grade 2 Cotswold Chase. Many Clouds, The People’s Horse, an award-winning film by Equine Productions, will be shown across all screens on the racecourse at 4.10pm. The film, which captures the journey of his acclaimed career, recently won Best International Director at the prestigious EQUUS Film Festival in New York. 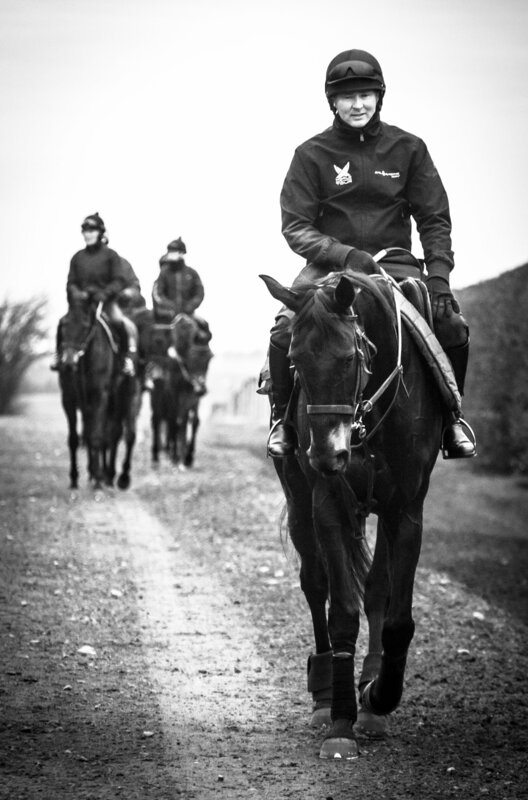 Many Clouds was a huge part of the Equine Productions family. Not only did our Visual Director Nathan Horrocks ride him out each morning, he won the Grand National with Leighton Aspell wearing the JockeyCam on the weekend of its launch. EP Visual Director Nathan Horrocks, will be taking part in a live Q&A, along with the star’s trainer Oliver Sherwood, in the Parade Ring at 12.05pm and 2.05pm.